Sports Desk: Bangladesh need 191 runs in 20 overs in the third and final match to clinch the three-match T20I series over West Indies at Sher-e-Bangla National Cricket Stadium on Saturday. The last match became the decider as the contest is locked 1-1 after the first two matches. Evin Lewis, the left-handed top-order batsman of West Indies, guided his team to gather 190/10 in 19.1 overs hitting 89 of 36 deliveries. The Caribbean boys kicked off the innings with a fiery batting approach as they scored 88 in the first six overs and 123 in the first 10 overs for four wickets. In the third over of the innings, Evin Lewis hit Mohammad Saifuddin for four sixes with one being 107-metre away. Saifuddin gave away 27 runs in the third over which ensured a big total for the visitors. But eventually, they failed to pass the 200-run mark. The first six of Lewis came from a sweet timing that went over the boundary rope for 104 metres. In the very next ball, Lewis threw Saifuddin 92 metres away which was straight over the bowler. After conceding two back-to-back sixes, Saifuddin lost his line in the third delivery that was signaled wide by the umpire. In the next delivery, Lewis hit another six over the long-off. Saifuddin managed to prevent Lewis from hitting six in the next two deliveries but he failed in the last ball when the left-handed batsman hit for a 107-metre long six. 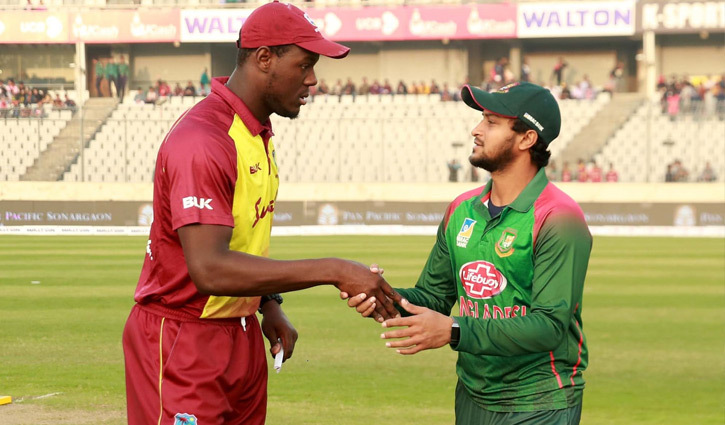 Shakib Al Hasan, the Bangladesh captain, drew the first blood of West Indies beating Shai Hope with a loopy delivery that splattered stumps of the batsman. After a gap of one over, Mustafizur Rahman managed to trap Keemo Paul at deep square leg where Ariful Haque took a catch. Paul went to pull but failed to connect the ball timely. Despite losing two wickets, West Indies never looked struggling at the middle as Evin Lewis was batting spectacularly well. He completed his fourth T20I fifty in 18 balls. He was furiously smashing Bangladeshi bowlers until the 10th over when Shakib asked Mahmudullah to try his hand. Mahmudullah, the right-arm off-spinner, did the job uprooting stumps of Evin Lewis who went for a sweep but missed the ball and got bowled. In the very next delivery, Mahmudullah hunted Shimron Hetmyer who never looked comfortable against the off-spinners throughout the series. Mahmudullah scalped his third wicket in the match trapping Rovman Powell in a quicker delivery. Rovman tried to pull but the ball went directly to Liton Das, and he grabbed an easy catch. Nicholas Pooran and Carlos Brathwaite fell to Mustafizur as Abu Hider Rony and Mehidy Hasan Miraz took two stunning catches in a spectacular fashion. West Indies lost their seventh wicket at 178 in 16.5 overs. Shakib grabbed seventh and eighth wickets of West Indies thanks to Mushfiqur Rahim’s stumping and a superb catch. With the series standing 1-1, the last encounter became the decider. If Bangladesh can chase the target of 191 successfully, they will win the series as well. 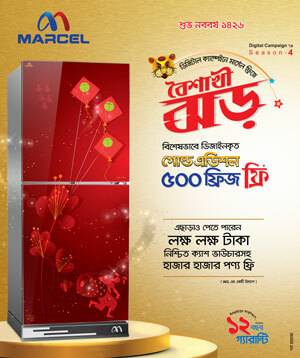 In the series opener, Bangladesh lost to West Indies by eight wickets at Sylhet. But in the next one, the hosts staged a strong comeback thanks to Shakib’s all-round performance, winning it by 36 runs.